Spectacular panoramic views of the ocean and beach will make you wish you could stay forever! Make yourself at home in this luxurious 3 bedroom penthouse condo! 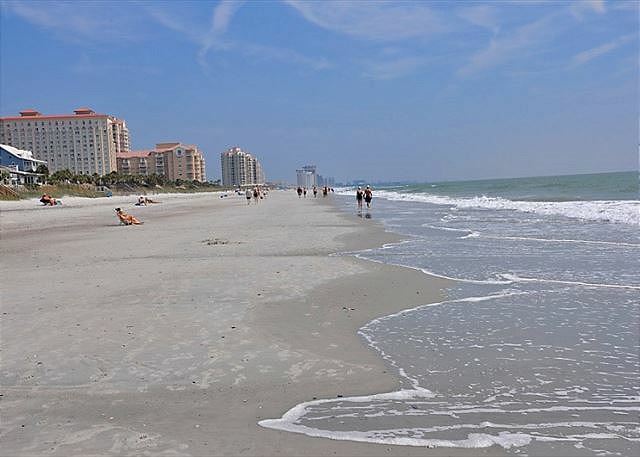 Large kitchen with beautiful granite countertops, full sized washer and dryer, flat screen TVs, two living rooms and an oversized balcony gives plenty of room for you and your guest to enjoy your Myrtle Beach vacation. This three bedroom condo has a king bed in the master/ full bath, second bedroom a king bed with an attached bathroom, and the third bedroom has two twin beds. -This is a non smoking unit. Great condo. What a view! Love the place and can’t wait to come back. Great balcony and great kitchen. Magnificent ocean views, convenient parking, super clean! Our family loved our stay here. Well-stocked kitchen, very clean condo and superior ocean views. There are a few maintenance issues to be corrected as there is an inadequate supply of hot water, the dryer works but is too loud to comfortably use and the master bedroom toilet needs repair. These are all minor issues that can be easily corrected. Super convenient check-in and departure. Nice boardwalk to the beach and bonus ground-level bathroom. Love Carolina Dunes! We have stayed in many different units over the years and had great experiences with all! I have to add that renting via Luxury Beach Rentals was, by far, the easiest and most economical way to go! This penthouse was perfect for our family! The views are incredible and the place was spotless. We had 8 people total and had plenty of space. The condo is very centrally located and we loved that Starbucks was a short walk. The rental process was very easy and Luxury Beach Rentals was great to deal with. We hope to make this a yearly trip. This rental was amazing. The unit was beautiful, so clean, so many extras. The "check in " process was so easy! And I have to say the maintenance staff that is on site daily were so nice and helpful. The location was great as well. Honestly, we already talked about staying at the same place next year! We enjoyed our stay very much! This place is beautiful! There were minor maintenance issues but nothing major at all. Had a great time. Place was wonderful but wasn't handicap accessible, wheelchair was able to fit in bathroom well! Overall place was clean and very nice! Really nice penthouse condo. Somewhat dated perhaps, but more than adequately met our needs. Lots of space, comfortable beds and a huge balcony overlooking the ocean. Not sure what else anyone could want. We always have a wonderful time. It is a wonderful spot on the beach and a beautiful condo. The staff is courteous. Penthouse is the way to go!!! Overall a good experience. The pictures on line were accurate and the penthouse was in a great location. We loved the HUGE deck and the great view. It could use a some maintenance such as light bulbs that were out and the cable TV had issues with how to operate that system... A sheet with some directions would have been helpful. But overall we would definitely go back. We enjoyed the penthouse and Myrtle Beach. This property was perfect for us!! Very spacious and the location was perfect. We loved stepping out on thebalciny every morning and seeing the ocean. I would definitely stay here again whenever I'm in the area! I would recommend this place!! 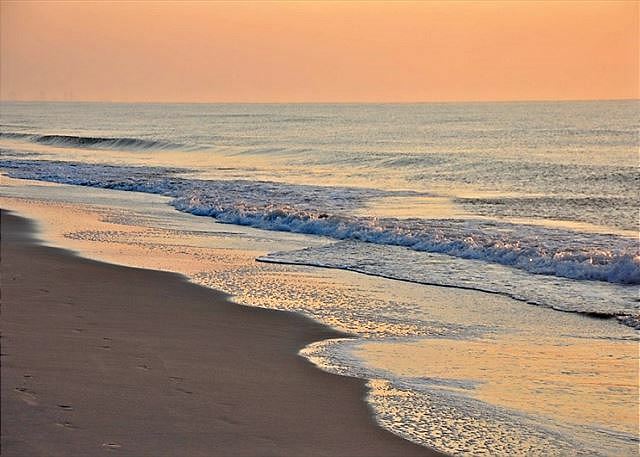 Perfect Escape at Myrtle Beach, SC. The condo was exactly the way it was pictured online. Clean and beautifully situated right off the beach. It was a perfect size for my family of 6. What I loved about the house was that it wasn't busy with a lot of people and noise as the hotels next to us, yes it's not that many features such as vending machines etc as you would have in the next hotel but I like my vacation to be peaceful and not crowded & noisey and more private. There's so many good options at Myrtle, anything you can think of they have. Cannot wait to book again here. Our family had such a nice vacation staying in this beautiful Penthouse Condo. The balcony is huge and has the most amazing view! The condo was very nicely decorated and well stocked. We would love to come back and stay again. We stayed in unit CD 704 in July 2016 and loved it. We have always stayed at this building every year, but this was our first time using Luxury Beach Rentals. Previously we had reserved through the Caravelle - but after multiple reservation mishaps on their part, we decided to go through LBR. Very pleased with their attention to detail, responsiveness to questions/problems and overall we were pleased with the unit. We have already booked for next year! It was a perfect getaway weekend right on beautiful Myrtle Beach. Perfect! Upon arriving at our vacation destination, we were pleasantly surprised to find that the condo we rented was exactly as depicted in the pictures. The condo was spacious, clean, tastefully decorated and fully equipped with the essentials of everyday living. Not only were we impressed with the cleanliness of the condo, but we were pleased with the care taken by the groundskeeper at the property. 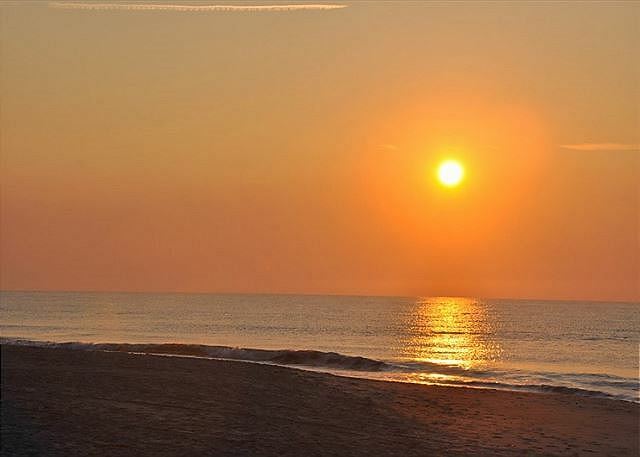 I visit Myrtle Beach every year and will definitely consider staying at The Carolina Dunes again. This is the second time we've stayed at the property through Luxury Rentals and again, it was great. This penthouse made our vacation. The condo is beautifully decorated and furnished. The balcony is huge and the views are absolutely incredible! It also came with its own parking space and beach chairs! We feel so lucky to have found this condo and are already planing our next trip back! This condo made our vacation! The condo is the nicest we have ever stayed in and the views are incredible! The management company is very nice and they even give you beach chairs! We can't wait to come back!